More RSG clients are considering the potential for a Customer Data Platform (CDP) in their marketing and engagement stacks, and I can understand why. 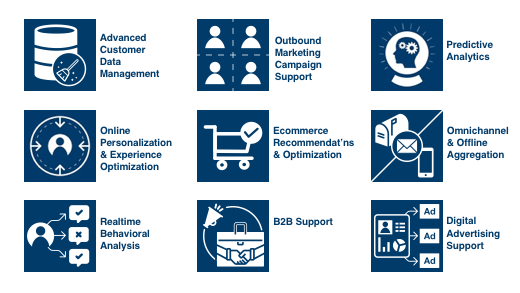 If you're trying to engage customers and prospects across channels, while leveraging current and future innovations in artificial intelligence, CDP technology might make sense. Just keep these four take-aways in mind as you explore. Marketers use CDPs to better understand, segment, and engage their customers and prospects. But what are you actually going to do with this information? I know that many of you have very smart, dynamic engagement and management systems at the top of your stack, and you want to fuel them with better, more unified customer data. But have you thought through just how you'll customize experiences and messages for different segments? Do you have a content strategy around this and a team ready to build and manage all the content and experience variants? Scope becomes important here. At RSG, we evaluate vendors primarily based on the extent to which they address business use cases. And so our new CDP research assesses whether and how different players cover nine key scenarios. You have about two dozen plausible choices here. So cast a wide net initially, focus on specific use cases, and mitigate against vendor/ecosystem immaturity. If you're considering licensing a customer data platform, you can download a sample vendor evaluation (of IBM's UBX offering), to see how we critique these tools. This can be resource intensive but what’s the cost of a failed implementation? RSG's hard-hitting vendor evaluations provide the real story about when a particular solution might match your needs, or more importantly, where it may fall short. By the way, if your firm already subscribes to one or more RSG research streams, contact us to find out how you can add the CDP evaluations to your roster at a solid discount.